Mozy, Dropbox, SugarSync, ElephantDrive...How can you choose the best free online file backup site and storage site for your needs? We compiled a top 4 list, with only the free accounts considered. Read on below to find out about the big and the small differences of each service, and find out how to get unpublished discounts and coupon codes for each site too. Best Offer - Try SugarSync 5GB Free! 5GB FREE Forever Account Makes SugarSync our #1 choice for free online storage! Why its popular: 5GB Free is a lot more than most of the competition. On top of that, SugarSync has a lot of great features that totally rock, such as amazing mobile app support, real time backups, and easy file sharing too. Drawbacks: Its a bit pricey if you have a ton of stuff to backup, with no unlimited options like some other accounts. Need More Info?Check out our full SugarSync Review for more tons of info. Best Offer - Try Elephant Drive 2GB Free! Why its popular: What we really like and Elephant drive is the fact that you get three solutions for one price: The Automatic backups, the synchronized folder, and the web access. Some services only offer one or two of these options, but not all three. Price: Starting at Free for 2GB, 100 GB for $9.95 a month (or $99.5 a year), and 500 GB for $19.95 a month (or $199.50 a year). There are Enterprise versions available that provide 1TB or more of storage for an unlimited number of users. Why its popular: Super simple, set and forget software makes backups and restores (many people forget about that part) really easy. They also are one of the only online back up services that actually lets you specify your own encryption key. Why is this important? If you use your own key, that means that Nobody, including the employees of Mozy, can see your data. Drawbacks: Home users are limited to 50 or 125GB plans, with more space available in 20GB increments. Price: 2GB Free account, $5.95 a month for 50GB (1 computer) and $9.95 a month for 125 GB (3 computers). Add additional computers for $2 per month per computer. Add an additional 20 GB of space for $2 per month. Why its popular: One of the first and easiest to use File Synchronization sites out there, DropBox makes it easy to sync files across multiple computers. Like a giant thumb drive in the cloud. Drawbacks: Not a backup program, mainly a file sharing program. Limited to 100GB. Price: Free account is excellent with 2 Gig unlimited storage. 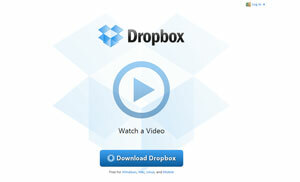 Dropbox pro accounts offer either 50 Gigabytes for $9.99 a month and 100 Gigabytes for $19.99. Best Site Offer - Click Here to Get 5GB Free with SugarSync!